Every student, and possibly teacher, dreams of a snow day... until it’s time to make those days up later. Because Wixie works online, students can use it on computers or tablets connected to the Internet. If they have access at home, there is no need to stop learning on a snow day! The Wixie curriculum library includes hundreds of templates and activities you can assign to students. If you know a snow day is coming, search the library to find and assign standards-based activities. The activities you assign to students will show in your student's Project View when they log in to Wixie at home. Use the keyword “snowday” at the Activities tab to see activities connected to wintry weather. 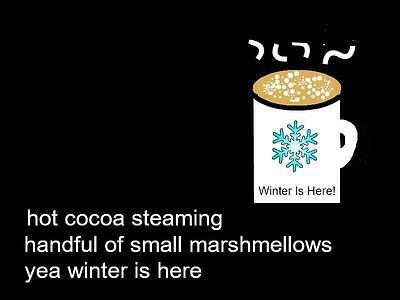 Here are seven other fun ideas for using Wixie to keep the learning going on a snow day. 1. Take a photo outside your window and write a caption to describe the weather. K-ESS2-1 Earth's Systems - Use and share observations of local weather conditions to describe patterns over time. 2. Use the weather outside or the activities you are doing inside as inspiration for a snow day story. CCSS.ELA-LITERACY.W.K.8 - With guidance and support from adults, recall information from experiences or gather information from provided sources to answer a question. 3. Write and illustrate a poem about winter. Any poetry form will do, but a haiku poem, (5-7-5 syllables) is even supposed to contain a kigo or season word making it perfect for wintry weather! Add a picture, record narration, and share the URL with classmates stuck at home. 4. Write a snow day journal entry. Think of one of the characters in a book you are reading. Then write a journal entry to share how you think they would feel about a snow day. 5. Paint your own winter wonderland with symmetry! Did you know the crystal structure of a snowflake is always six-sided? Paint your own snowflakes in Wixie using the Symmetry options on the Paint panel. 6. Create a snowman glyph to share data about your snow day. Talk with your students about things they think they will do on their snow day. Work together to group these ideas into categories and then create your own snowman glyph activity like this one from Cynthia Fordham, a Wixie-using teacher, in North Carolina. You can find and download a "Snowman Glyph" Wixie activity from the Trading Post. 7. Record the temperature and weather conditions. Have students record the temperature over the course of a snow day (or snow days!) and show it on a thermometer, image, or graph. They can also watch or read the news to learn and show what the weather is like in other parts of the country. Snow days don't require students to stop learning, they simply keep students from learning in the same physical space. Even if you don't require work at home on a snow day, consider assigning a few Wixie templates to inspire your students to keep creating at home. No matter what you choose to do, stay safe and enjoy the day. 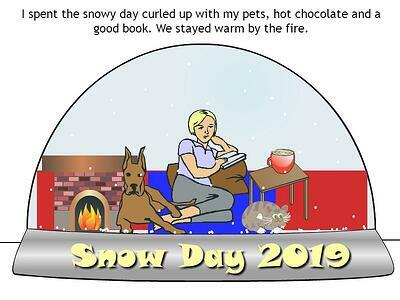 Have students add images to the snow globe activity (available to students from the Templates tab of their Project View) to show how they spent their time on their snow day.